Our little Jackson has a HUGE fascination with trains right now. He obsesses over them, he dreams about them and he is not happy unless he is clutching one in his hand. 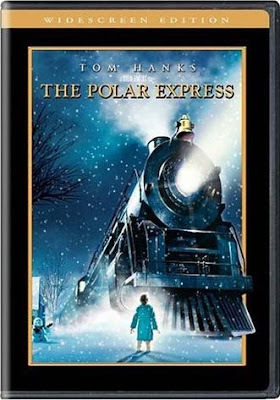 He was introduced to this movie, The Polar Express, this year and cannot get enough of it! He watches it at least twice a day - I know, we shouldn't let him do that, but hey, it's Christmas right? So consequently there are continuous songs running through my mind every day. "Hot! Hot! Oooh we got it. Hot chocolate!" "Putting up the Christmas tree with friends who come around..."
We all know Jackson's favorite Christmas movie... what's yours? Elf! I love that movie. So many great one liners. I love Miracle on 34th Street (new or old version). While it's not my family's favorite I love White Christmas. Growing up I always wanted to dress up in the pretty red dresses at the end.